After firing just one birdie, two bogeys and a double bogey seven in a 73 that left him six off the pace on one over, McDowell moaned: “Some of the pins were borderline outrageous - holes like the par three 11th, where there was a 25 miles per hour wind off the left there and the pin was hanging off the left edge of the green on the left slope. "The par three 15th - it was stupid! There were a few examples out there of outrageous pins, but you expect that at the British Open. McDowell racked up a seven at par-five seventh, where he drove into the rough and was forced to take a penalty drop from an unplayable lie after failing to hack his way out the first time. 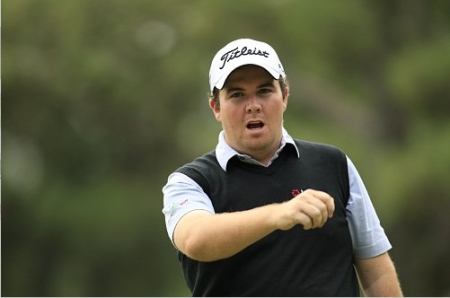 Compatriot Clarke fired a second successive 71 to sit seven shots off the pace alongside Paul McGinley on two over. 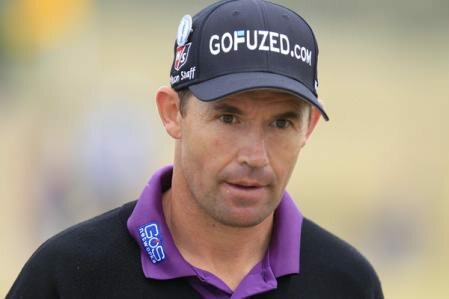 But like Padraig Harrington, he knows he has to start holing some putts if he is to challenge for the title. Delighted with his play from tee to green, Clarke said: “I’m hitting it lovely. I played really well again and didn’t take my chances with the putter. “At two-over I’ve got to have a very good weekend. I’m only seven shots behind so it’s not that bad but the way I’ve been hitting, today especially I should have been much better than that. "I’m very happy with the trajectory and control I have over my golf ball in flight, the best I’ve had in a very, very long time. It’s the same old story that I’ve been telling you for a very long time, I’m not holing enough putts." Darren Clark believes Ulster duo Rory McIlroy and Graeme McDowell can come up with the answer to the $64,000 question and finally end Ireland’s long wait for a Masters champion.